The Stripe Token gateway uses Stripe's tokenization architecture to store card details on Stripe's system. ONTRAPORT stores a representative token that is passed and matched up to the customer card data on Stripe's servers. This enables the Stripe Dashboard and reporting features to be more complete, and takes advantage of advanced Stripe features such as Smarter Saved Cards (auto-updating of card details when the bank renews or replaces credit cards). If you are migrating from another system and want to import Stripe customer data, see our Stripe Gateway Migration article as well. Log into your Stripe account and navigate to Radar > Rules. If the two verification settings are enabled they will show "0 blocked" like the Stripe setting above them in this image. You must set these two settings to Disabled. Click the three dot menu to select Disable. Navigate to Developer > API Key and click "Reveal live key token". Copy the revealed Secret Key to the clipboard. Stripe can process transactions in non-US currencies. ONTRAPORT sends the currency type to Stripe, so you must make sure your currency setting in Stripe matches the currency setting in ONTRAPORT. Make sure you understand how your bank will process the currency; if your bank account defaults to a different currency you may incur transaction and conversion fees. 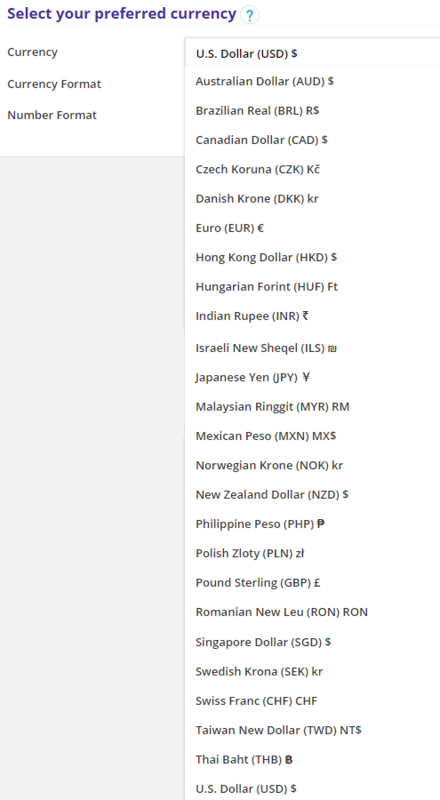 Visit Administration > Localization to select your currency setting in ONTRAPORT. 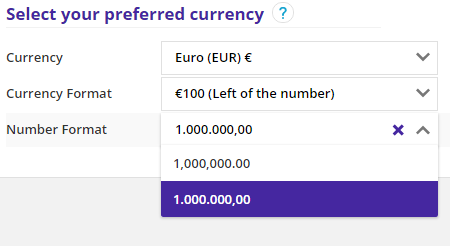 Select the currency from the drop down. Choose how you want the currency symbol to appear. Typical choices include the currency symbol and currency abbreviation, or just the currency symbol, before or after the value. Select the number format in the last drop down box. Choices are to use the comma as the decimal separator, typical in Europe, or to use the period as the decimal separator. Verify that the gateway and currency setting work correctly. Process a live transaction on a valid credit card and verify the charge is reflected correctly in your payment gateway and bank. Note that the new currency symbol is used on all items and sales reports in ONTRAPORT, including historical sales made prior to the change. It is up to you to segregate sales prior to the change and reflect them properly in your books. 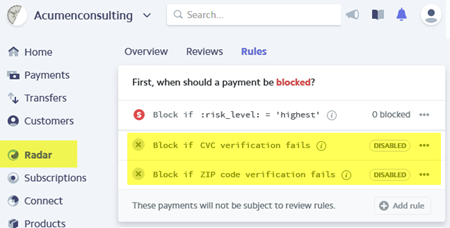 Stripe does not include any Address Verification Service (AVS). If that is needed for your local jurisdiction another gateway must be used. Stripe supports over 135 currencies. ONTRAPORT can be set to use a single currency only. Multi-currency support is not available in ONTRAPORT. The ONTRAPORT currency setting is a global setting and must match the setting in your payment gateway to avoid extra fees or refused transactions. 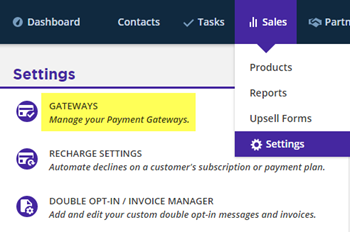 Sales reports within ONTRAPORT will aggregate the totals without performing any currency conversions after you change your account currency. Q. I have customers in Stripe's system from my old platform, and I'm moving to ONTRAPORT. Can I import them? A. 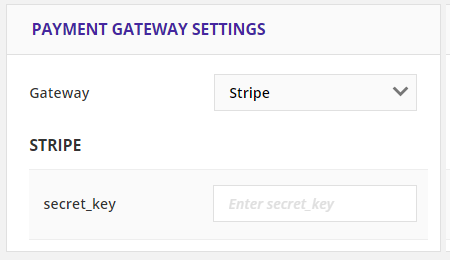 Yes, see our Stripe Gateway Migration article for details. Stripe exports tokens instead of the actual card details, and our team can import them for you. These contacts will not have credit card details stored in ONTRAPORT, so there will be certain limitations as explained in that article. Q. I've been using Stripe for a while now, but when I log into their control panel it has a notice that I should update to using their new API. Should I do this? A. Yes, you can safely upgrade to using the new API if you are getting this notice. Q. Can I use a currency other than US Dollars in Stripe? A. Yes. 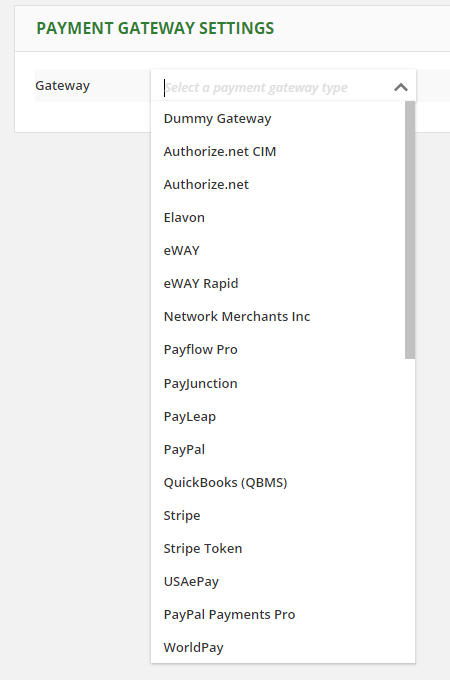 Stripe supports many different currencies. If you connect multiple banks to your Stripe account it can accept payment in different currencies. Each ONTRAPORT account processes in one currency only. If you want to bill in both US Dollars (USD) and Pounds Sterling (GBP), you must use two separate ONTRAPORT accounts. Note: Stripe will accept transactions in any of their supported currencies and pass that currency through to the bank you set up for that currency. If you do not have a bank set up for that currency, Stripe will pass the transaction to your primary bank. Your bank may assess currency exchange fees to convert the funds into your bank's currency; these fees can amount to 10% of the sale or more. We recommend you set the ONTRAPORT currency setting to match your Stripe setting in Administration > Localization. This will also set the currency symbol for your reports, order forms, etc. Q. I changed my currency to Pounds Sterling (GBP) but all the sales values are the same in my account. They should be converted! A. ONTRAPORT does not do any currency conversion of existing sales values. You will need to download your transactions prior to the change and convert the values manually for your books. Q. I switched my currency in ONTRAPORT and now all my orders are failing! A. The currency setting in ONTRAPORT must match the currency setting in the payment gateway. While some gateways refuse transactions with mismatched currency types, others will process the payment and you will incur extra currency exchange and processing fees. Q. I have $3,846 in currency exchange fees after switching my currency in ONTRAPORT! Are you going to reimburse me? A. No. The currency setting in ONTRAPORT must match the currency setting in the payment gateway. While some gateways refuse transactions with mismatched currency types, others will process the payment and you will incur extra currency exchange and processing fees from the gateway or the bank. ONTRAPORT will not reimburse you for these charges. ONTRAPORT's Community Q&A Forum is our peer-to-peer support site for quick answers to your questions 24 hours a day! ONTRAPORT Support, our Certified Consultants, and your fellow entrepreneurs provide the answers. What happens if I change currency in ONTRAPORT but not my gateway? What about the custom code I was using to change currency symbols? 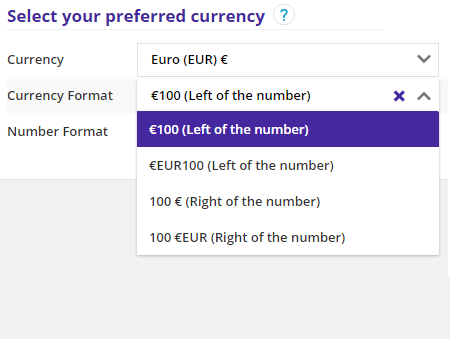 Does ONTRAPORT do currency conversions when I switch currencies? I changed my currency. What about my existing forms all over the Internet?